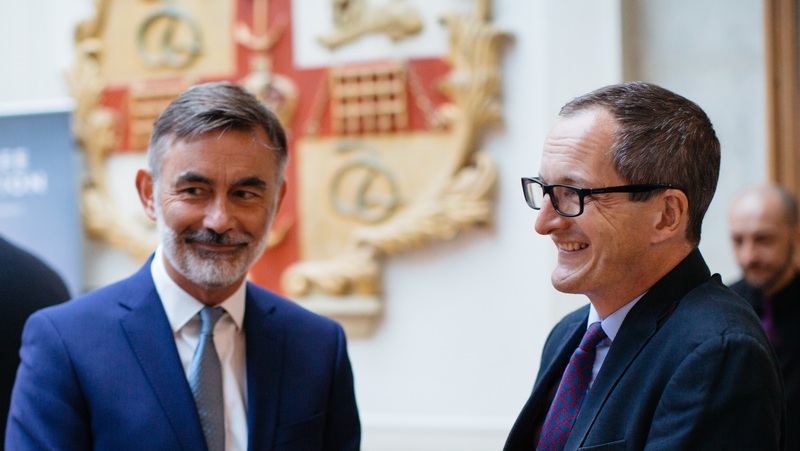 We are delighted to announce the appointment of Lord James Bethell (pictured right, with Chief Executive Brendan Eley) as Chairman of The Scar Free Foundation's Development Board. James will also join The Scar Free Foundation Board of Trustees later this month. James is Founder and CEO of communications agency Westbourne Communications. He has a wealth of experience working across government, media and industry. He has previously worked at The Sunday Times, the US Senate and EU Commission, and helped turn the Ministry of Sound into a global music brand. "Our son Jacob experienced a burn and scarring as a baby. The experience was traumatic for us because the doctors, despite their very best efforts, did not have the answers to our questions. I want to change that for future generations. The Scar Free Foundation shares that vision. Because of my experience, 'Scar free healing within a generation' is a meaningful objective for me and I am committed to seeing it happen. “For our cause, the issue is that few people understand that scars are a problem. They do not think of scarring as a condition, like cancer, that effects millions of people, occurs in all parts of the body and has terrible life-long consequences. And, despite huge strides in clinical and genetic science, fewer think that scar free healing is even a possibility. I am excited about how the Scar Free campaign can start to raise awareness and open up a conversation around the problem of scarring and how The Scar Free Foundation can solve it."